Dr. Preeti Jindal, MBBS & MD, DNB , MRCOG(UK) is a Senior Consultant - Obstetrics & Gynaecology at The Touch Advanced IVF & Boutique Gynae Clinic, Mohali. 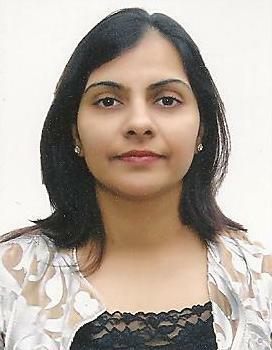 Dr Preeti Jindal completed her post graduation (MD- Obs & Gynae) from Mahatma Gandhi Institute of Medical Sciences (MGIMS), Delhi and thereafter was Registrar at PGI, Chandigarh. She did her MRCOG from London and worked at St Mary's Hospital, London, one of the finest hospitals in the world. Dr. Preeti Jindal is having an acclaimed experience of more than 20 years and is an expert in dealing with Recurrent Miscarriage, High Risk Obstetrics, LSCS, Painless Deliveries, Normal Deliveries and Complicated Deliveries. She is also adept in Amniocentesis and Prenatal Diagnostic Procedures for Fetal Screening. To her credits, she is the pioneer in introducing the concept of Remote Fetal Monitoring (In this technique, a patient can convey details of the fetus with the doctor sitting at a distance without any hassle of hospital admission) and virtually the founder of the first Recurrent Miscarriage Clinic in North India. Dr. Preeti Jindal, is a member of Federation of Obstetric and Gynaecological Societies of India (FOGSI). She regularly attends various Gynaecological national conferences and workshops to stay abreast of all recent advances.